Join Our Email Club and Get a FREE Chai Iced Tea! 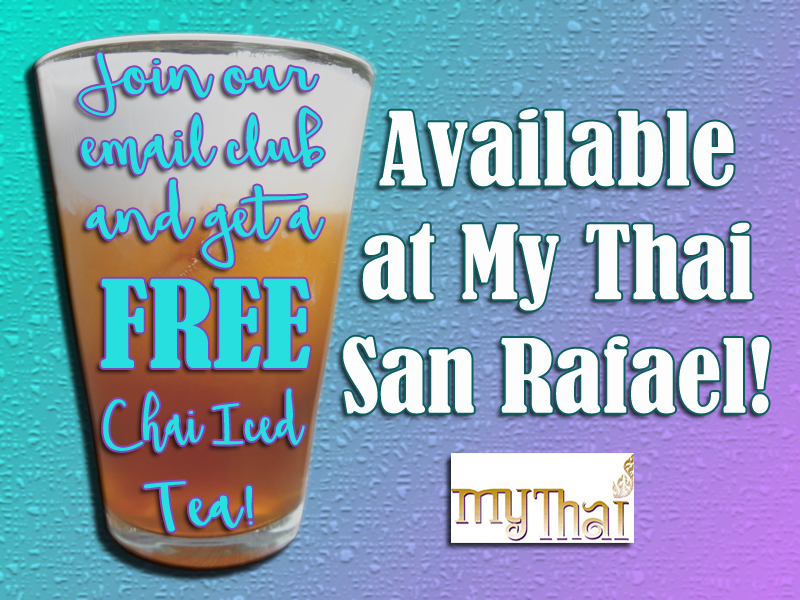 Stay up to date with My Thai Restaurant’s latest news, promos and events and get a FREE Chai Iced Tea when you sign up for our email club. How to sign up? Go to www.mythai.com and enter your email address in the form at the bottom right of the page. Show your confirmed subscription from your email to your server and you will receive FREE Chai Iced Tea. For inquiries visit us at 1230 4th St in San Rafael or call us at 415-456-4455.